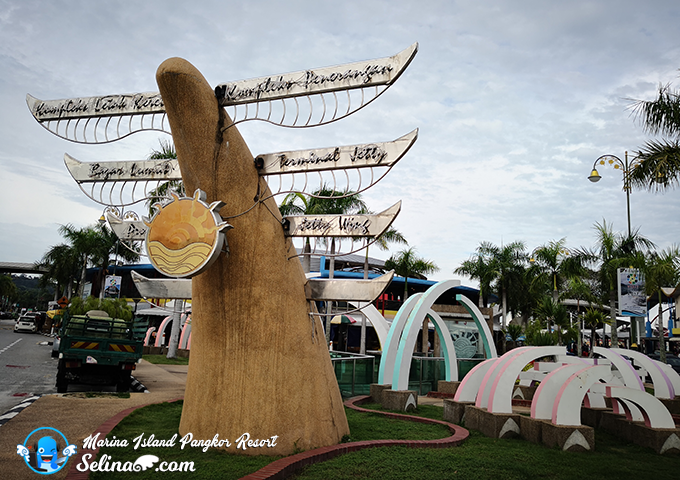 From the Marine Island Pangkor Resort one of main islands that are becoming famous tourist attractions in Pangkor, Perak my group media and I headed to the Lumut town first. This road is just a short distance to the Lumut town, take few minutes only. 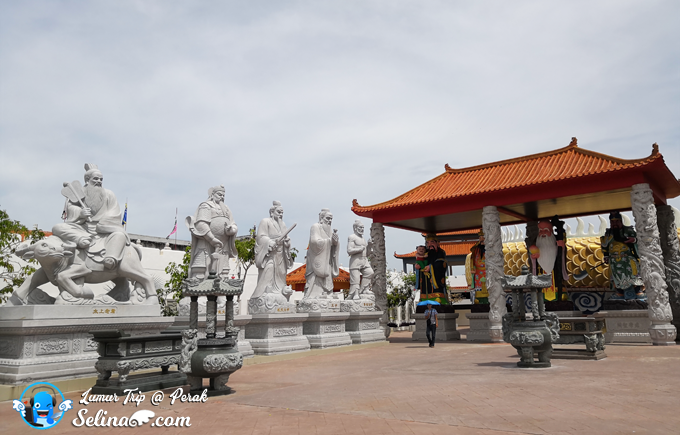 After the visit of Mr Honey Bee Farm, we went to Tua Pek Kong Temple in Sitiawan, Perak. 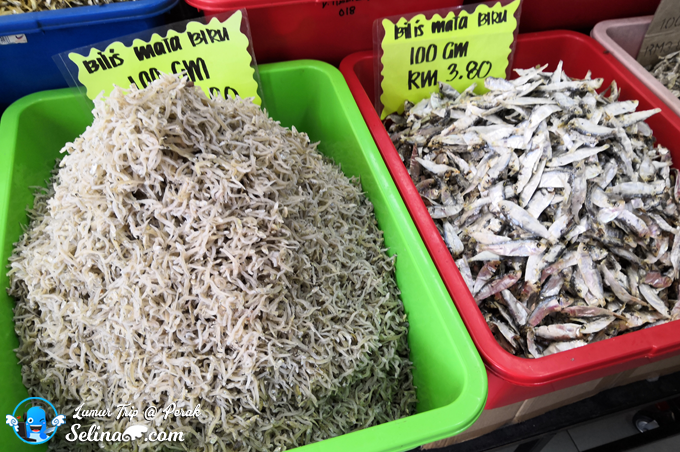 Have you wondered about what I do in the Marine Island Pangkor Resort before this Lumut trip? Please read my post, click link here. Lumut is a very small town, just have few streets. 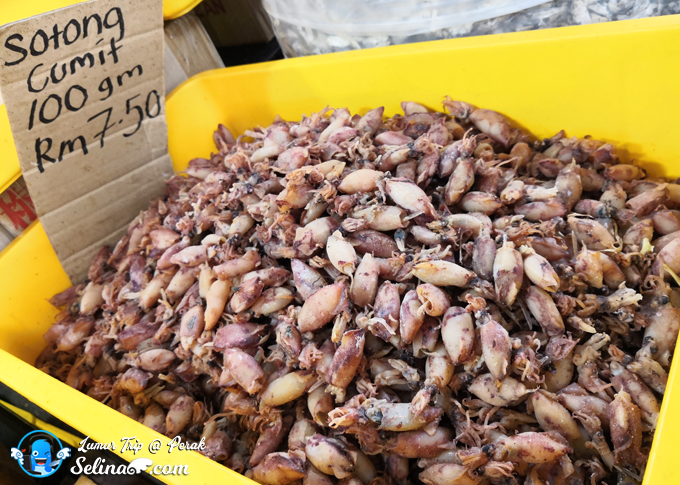 Mostly, the villagers made their living in the fishing and tourist industry. 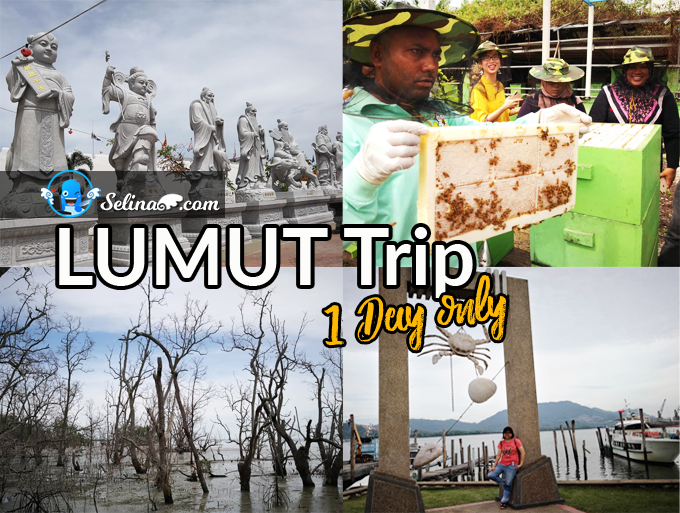 Lumut used to be the National Navy biggest base on the west coast of Malaysia. 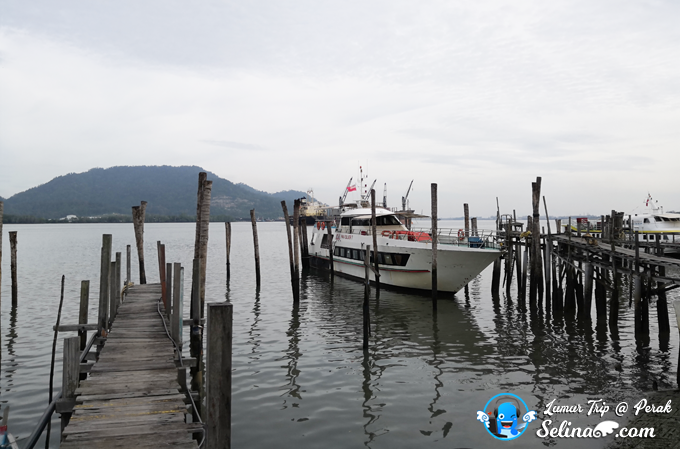 Lumut town also have a ferry terminal station for the tourists who want to visit the Pangkor Island. If you are looking for the best dessert to eat in Lumut, you MUST TRY Mr. Cendol! And you can enjoy to walk around the streets only after you are parking your car there. Because this place is very small only. You can view a beautiful sea when you walk along this town. 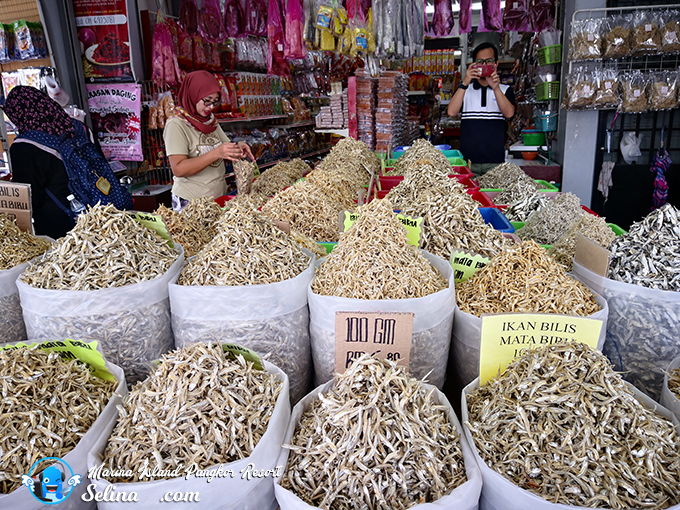 Better shopping for dried seafood, such as dried shrimp, salted fish, cuttlefish, fish crackers, and satay fish. And you can buy the souvenirs for your friends and relatives. This area is famous with the blue eyed anchovies - you NEVER MISS it! First time, my mom and I witnessed the nest of bees at Mr Honey Bee Farm. 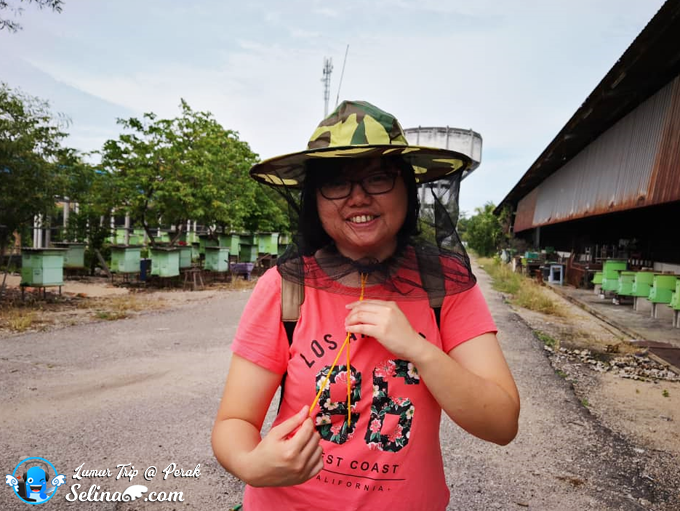 I am scared of the bees because I experienced to get the bites before when I was young. Don't worry, everyone given the protector hats. First time, my mom and I witnes the nest of bees at Mr Honey Bee Farm. 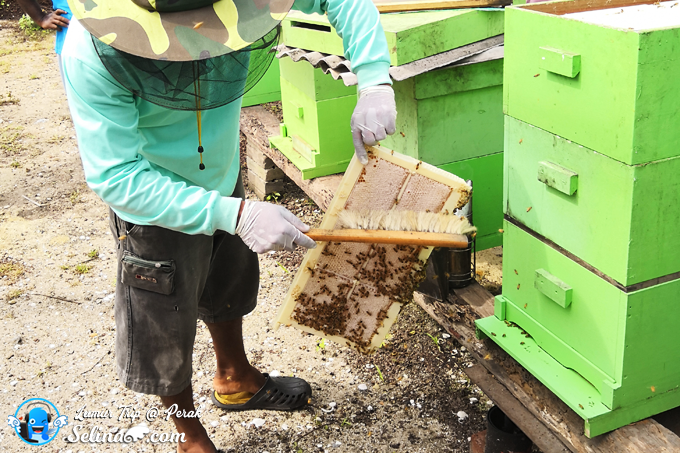 I got my chance to see a staff take out the honeycombs, then he was sweeping away the bees from it! According to my mom, this species of bees are Mellifera Bees from Italy. 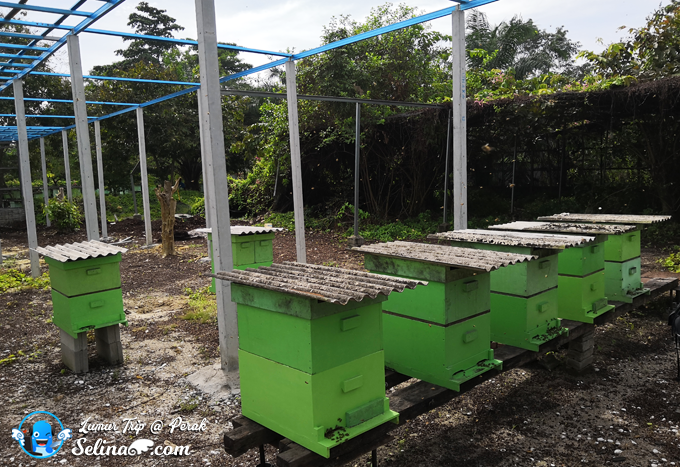 Everyone is welcome to visit the Mr Honey Bee Farm so free! They can guide you all to learn about the demonstration of how the honey is being packed into bottles from the honey comb. This demo experience are available on Sundays only. Better to bring your children to learn so much about how the bees do the honey so tasty! First time, I tried to eat the honey raw from the honeycomb! They also sell the products such as the honey bottles, bee pollen (250g) and honeycomb 500g/250g. 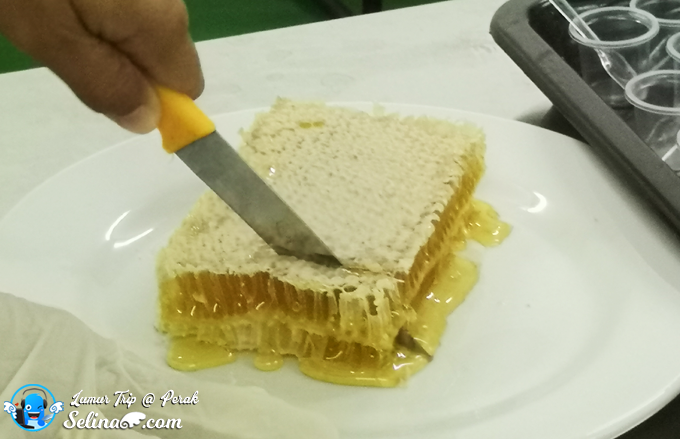 I suggest that you should try to eat the raw honeycomb, so it is good sweet and tasty! 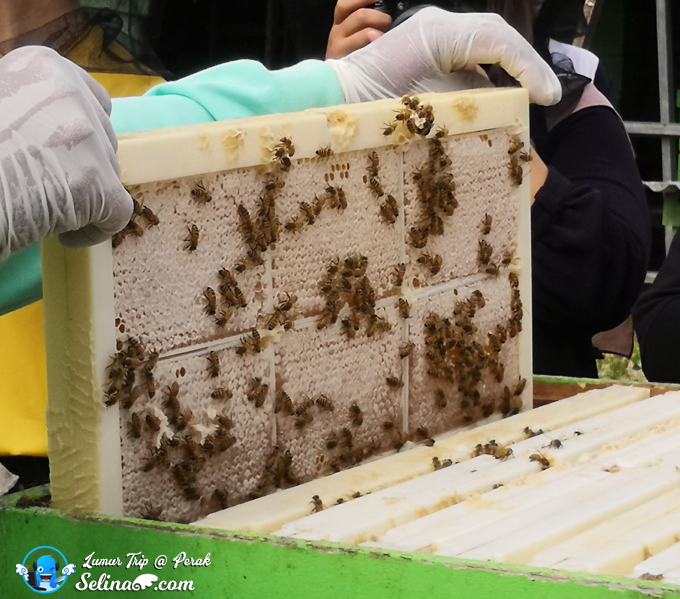 Mr. Yee started his business from small bee farm since he is self-taught and learning more about how to create the pure honey. He looks like don't scare of the bees! Wow. 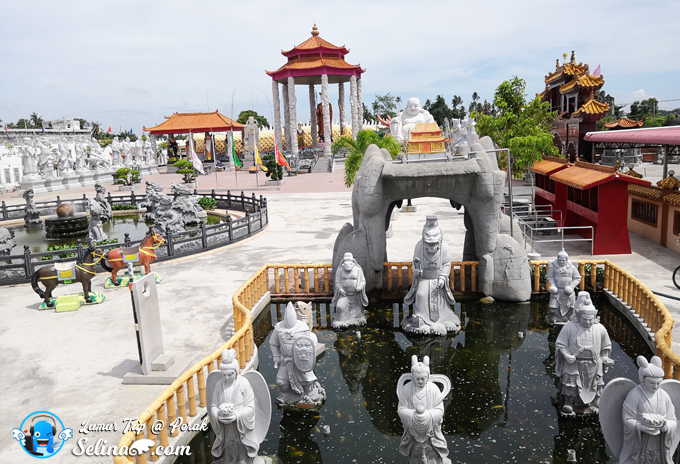 Tua Pek Kong Temple (品仙祠大伯公和观音堂) is located at Kampung Pasir Panjang Laut Sitiawan, Perak. My mom said this big temple is over 100 years old. I found that the artificial Mountain, Fish pond and fountain is beautiful. There are more than 98 statues of deities and animals from the Chinese lunar calendar. Interesting, it get big giant of 11 statues are facing the sea... 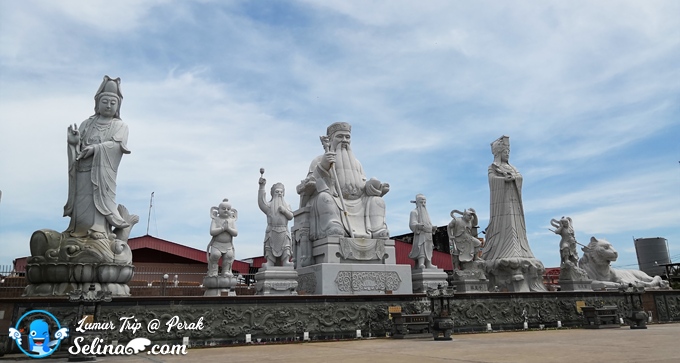 I never expect this temple turn into a beautiful place with so many giant statues! 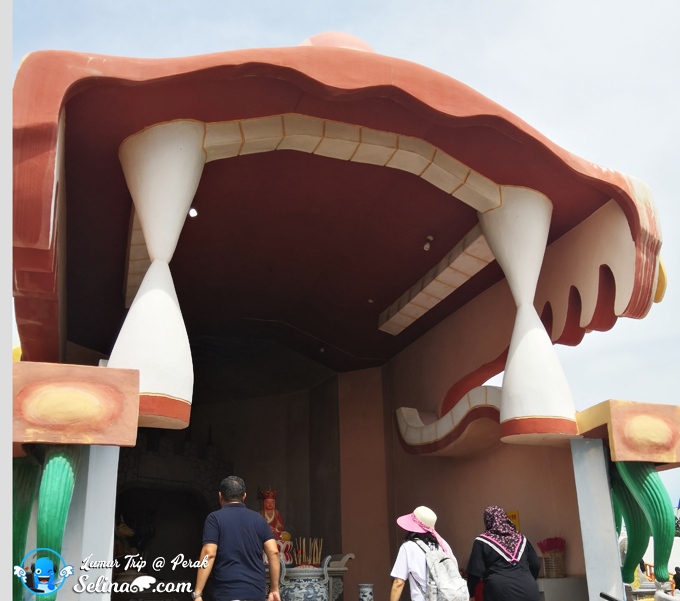 It become the popular of tourist attraction! There is a dragon tunnel which lead you can walk inside through its mouth. Then, you will notice that the interior walls are lined with the illustration of The Ten Chambers of Hell. 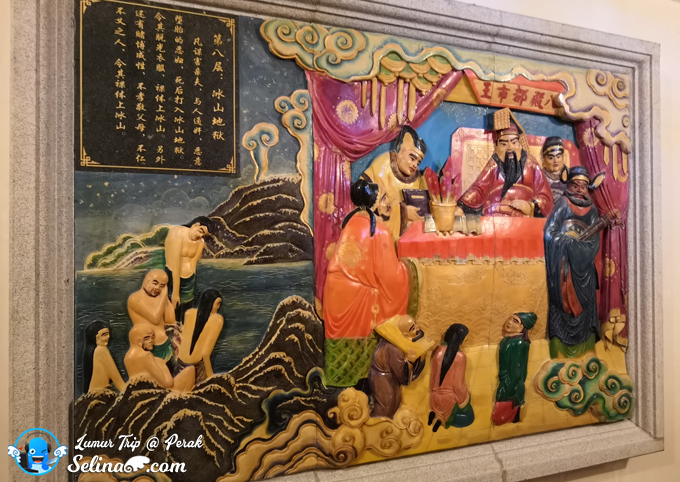 The Chinese people believe that if the sinners of the gruesome fate who have to face the Hell kings before they go to next world. It is very beautiful temple, but I think that it need more good direction signage because we not sure where is the entrance to lead us to explore inside this temple! It's FREE admission. There are the available of free parking for cars, and buses. For me, the statues are carved in stone so beautifully and are very HUGE! The best view is the mangrove swamp beside this temple. 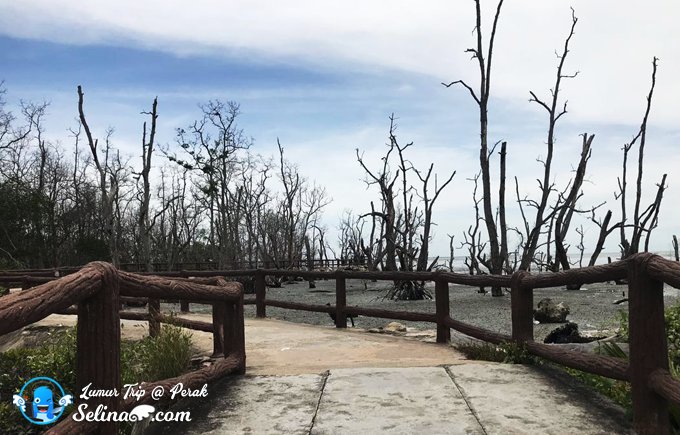 Be sure to take a walk along the boardwalk and take photos. 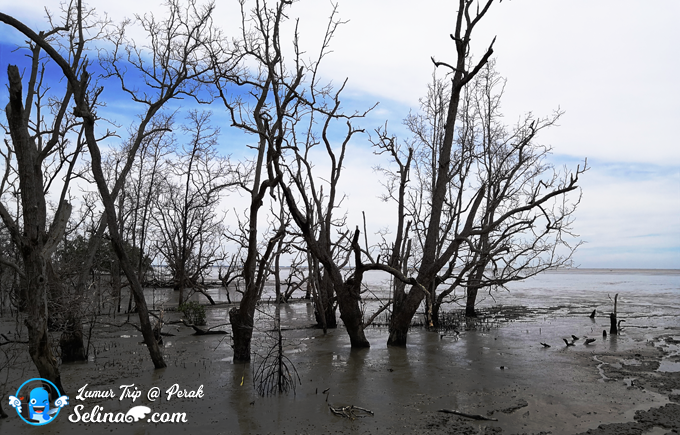 You sure will like to view the scenery of magnificent sunset when you are walking along the mangrove swamp! If you and your family plan to stay long near the Pangkor Island in Perak, you should stay in the Marina Island Pangkor Resort for 2 - 3 days. Better to relax along the beach or enjoy to do fun activities after tired to drive in long hours. This trip made your family's holiday that will create new memories with your happiness for a lifetime!